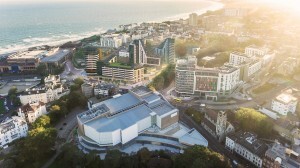 Plans by Bournemouth Development Company for the iconic Winter Gardens site in Bournemouth have today been approved by Bournemouth Council Planning Board. The Winter Gardens is an aspirational and transformative scheme, which will combine new homes, leisure and social spaces where people will want to live, work and socialise. The site has a long history in the town but has been under-utilised in recent years. The next step in Bournemouth Development Company’s plans for regenerating the town centre will secure Winter Gardens’ place as part of the future of the town. This £150 million scheme is one of the biggest that Bournemouth have ever seen, and it will be a major boost to the whole local economy. It will generate new jobs, attract more visitors all year round, and make the town centre a more exciting and enjoyable place to visit for local residents. Winter Gardens will create over 350 new homes of a variety of sizes, which will be a major benefit to the town, where demand for well-designed, quality housing in accessible locations extremely high. It will also preserve and improve 225 public parking spaces that are currently on the Winter Gardens site. The residential accommodation is located in four slender multi-storey buildings of varying heights, set amidst considerable landscaped grounds that provide leisure, recreation and residential amenity. Reflecting a demand for contemporary town centre living, it will comprise 352 homes, made up of a mix of one-, two- and three-bedroom flats and a small number of penthouse apartments, arranged across four multi-storey buildings of varying heights. Nearly 600 car parking spaces over, including the re-provision of 225 safe and secure public car parking spaces, almost all in a four-story basement car park, plus secure cycle parking areas. There will be up to five units for high-quality restaurants along Exeter Road, and a new food store, helping to raise and diversify the choice of dining experiences in the area, enliven the streetscape, and contribute to the local economy. As well as dedicated family area, there will be a new piazza at the junction of Exeter and Cranborne Road, a linear park alongside Cranborne Road and other publicly accessible open spaces with opportunities for outdoor cafés and children’s play areas. A widened landscaped pedestrian area along Exeter Road will help to deliver an important part of the Grand Garden Walk, an initiative to provide a continuous promenade for pedestrians and cyclists around the town centre. The Winter Gardens scheme has received support from a wide range of local business organisations, include the Dorset Chamber of Commerce, Bournemouth Chamber of Commerce, the Dorset Local Enterprise Partnership, the Bournemouth Coastal BID, and the Bournemouth Town Centre BID. 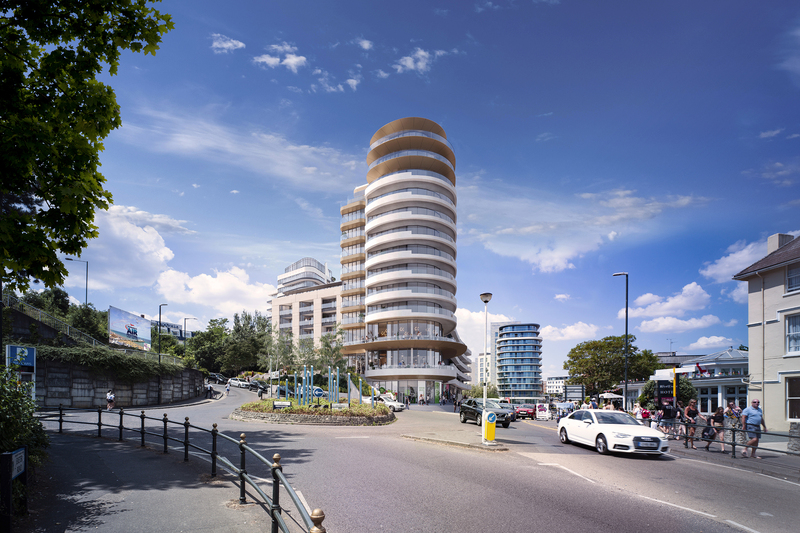 Winter Gardens is the latest and most significant Bournemouth Development Company scheme to be approved. It has already delivered student flats and parking in Madeira Road, housing in the Citrus Building at Horseshoe Common, and housing and parking at Berry Court on St Peter’s Road. 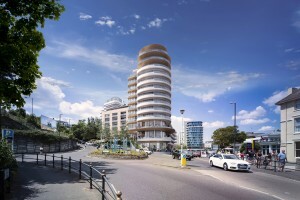 “Over the last six years Bournemouth has seen unprecedented levels of development. This latest scheme will further demonstrate the success of the Council’s Town Centre Vision which has seen £300 million of development completed and £200 million currently in the construction phase. This level of development would be impressive in any town or city, but for Bournemouth is a real game changer. “We are delighted with the Planning Board’s decision. The commitment to the Winter Gardens site over a number of years, and the hard work of the whole team, has today helped to start a new chapter in the transformation of this iconic but long-disused site. “Bournemouth has a lot to be proud of, and we want to safeguard this for the future. The regeneration of the Winter Gardens site is a truly aspirational, exciting and significant step in helping the town become the best place to live, work and study in. “Today’s news contributes to a bold vision for Bournemouth. 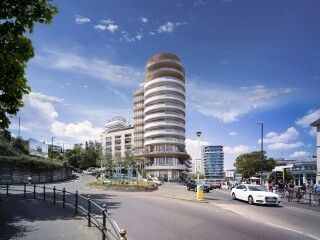 “The Winter Gardens is more than just a housing and leisure development, it is a strategic statement of what I believe the town and wider conurbation can become in the future – a true city by the sea. “It is great to see a major scheme like the Winter Gardens finally getting the go-ahead. “While footfall in the town centre has gone up in each of the last three years, we need to keep improving the experience for local people and visitors.